I'm basically a storyteller. 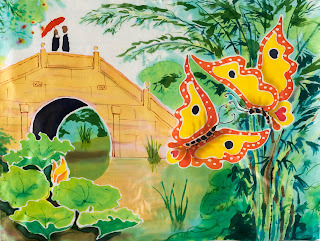 I fell in love with stories and illustration as a child, and lately my paintings on silk all have stories. 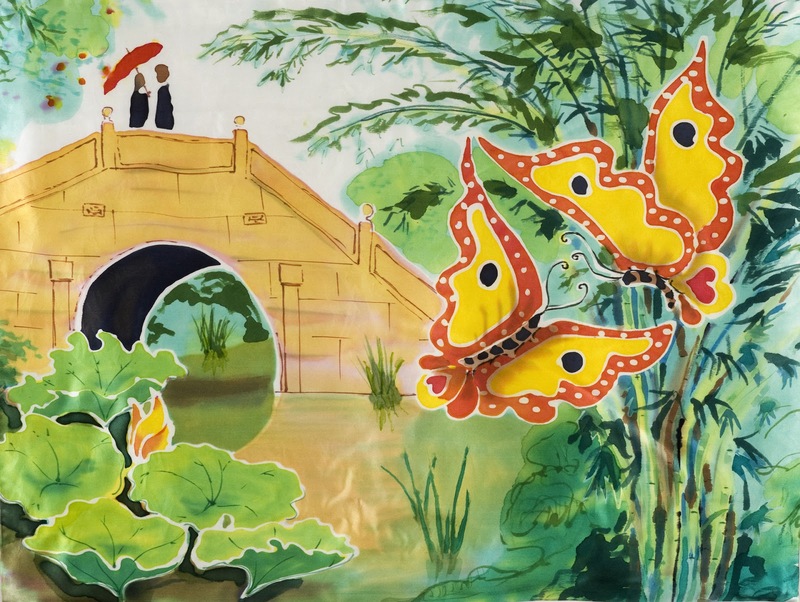 I began painting on silk late in 2009, when I returned from China with stories to tell. The first stories on silk were Chinese folk tales and poetry, then stories from my life began to appear, and friends' stories: the loss of a child, that glorious walk in a magical madrona forest with my beloved, the death of a husband, the first days when a newborn comes into the family. On Friday, January 11, from 7pm-9pm, I will tell you some of these stories -- casually, as people show interest-- at the Pninney Center, 6532 Phinney Ave, Seattle. Real People: Who Says Men don't Wear Silk?